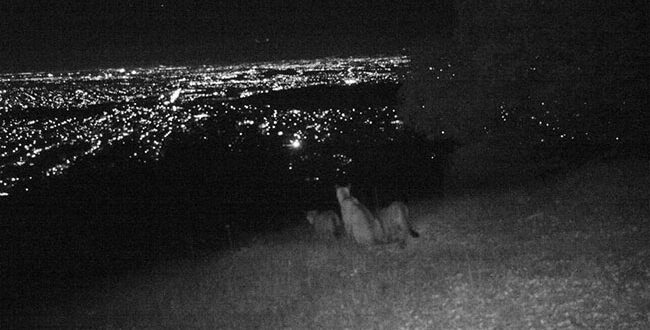 More on our puma fearing people paper from Peter Fimrite at the SF Chronicle and Paul Rogers at the San Jose Mercury news. The recordings that were played in the lion experiment were snippets of shows of TV and talk radio personalities, including liberal Rachel Maddow and conservative Rush Limbaugh. Our work was also featured in National Geographic, the New Scientist, Popular Science, and Newsweek. 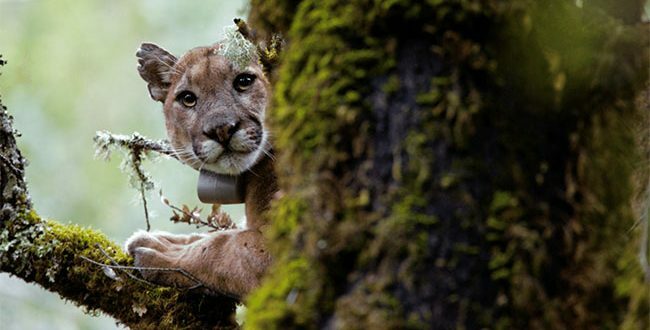 Great article on our recent paper on how puma’s fear people in the Washington Post. Then political commentator Rachel Maddow’s voice fills the clearing: “Last Friday, three days after Bobby Jindal quit …” The lion lifts its head, and its eyes, glowing in the scant light, look right toward a hidden camera. Then the creature turns tail and flees. It’s gone before Maddow even finishes her sentence. Read on here for the rest of the story. Outside Magazine has a nice story on Lyme disease ecology in which they discuss some of the results of our recent PNAS paper. Some species may even be able to control tick numbers and infection prevalence not by killing the ticks but by killing their favorite hosts. That is the new argument that Taal Levi, a postdoctoral researcher at the Cary Institute, put forward in a 2012 paper in the Proceedings of the National Academy of Sciences. After the morning tick drag, I sat down with Levi at a picnic table outside the institute to hear about the history of foxes. Foxes were originally very abundant in the eastern United States, where they feasted on small mammals like white-footed mice. But the past few decades have not been good to them. “Fox harvests in the Northeast have declined substantially,” says Levi. Taal is continuing this work in his postdoc at the Cary Institute in New York. Read the whole story here. Discover magazine listed our PNAS article as #30 on its list of top 100 science stories of 2009. Humans are powerful agents of evolutionary change: Wild animals and plants that are hunted or harvested evolve three times as quickly as they would naturally, according to a study from the University of California at Santa Cruz. In our quest to bag the biggest and the best, we introduce selective pressures that favor less desirable creatures, such as those with smaller bodies or less majestic horns. Hunting also gives a competitive advantage to animals that have babies when they are younger, before they become tempting targets for humans. A team led by biologist Chris Darimont combed through data on dozens of species—predominantly fish but also bighorn sheep, caribou, marine invertebrates, and two plants. (“Hunters also want the biggest ginseng,” Darimont says.) Animals that are routinely subject to pursuit are, on average, 20 percent smaller and reproduce at a 25 percent younger age than what would be expected without human influence, the researchers determined. Predation is not the only way that people affect populations. Creatures that are exposed to environmental influences like pollution also experience accelerated evolution, although the effect is less dramatic. From the NY Times, a Science Times article on our recent PNAS paper. 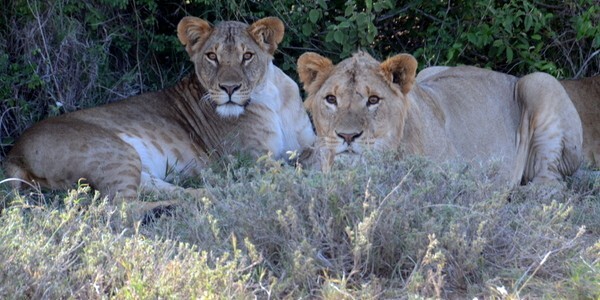 Human actions are increasing the rate of evolutionary change in plants and animals in ways that may hurt their long-term prospects for survival, scientists are reporting. Hunting, commercial fishing and some conservation regulations, like minimum size limits on fish, may all work against species health. The idea that target species evolve in response to predation is not new. For example, researchers reported several years ago that after decades of heavy fishing, Atlantic cod had evolved to reproduce at younger ages and smaller sizes. The new findings are more sweeping. Based on an analysis of earlier studies of 29 species — mostly fish, but also a few animals and plants like bighorn sheep and ginseng — researchers from several Canadian and American universities found that rates of evolutionary change were three times higher in species subject to “harvest selection” than in other species. Writing in The Proceedings of the National Academy of Sciences, the researchers saythe data they analyzed suggested that size at reproductive maturity in the species under pressure had shrunk in 30 years or so by 20 percent, and that organisms were reaching reproductive age about 25 percent sooner. Click here to read the full article at nytimes.com.